Well, the mobile apps are the most prominent than the any other medium to make your business attain great heights. However, the thing with mobile apps is that users move away too fast in absence of personalized experiences. Hence, it is better to not stop with a static experience or app messaging campaigns which won’t live up to the user’s expectations. Rather, when you have already made the big jump into the mobile, then better follow the trend, identifying what your users are seeking and then just get into mobile App personalization. 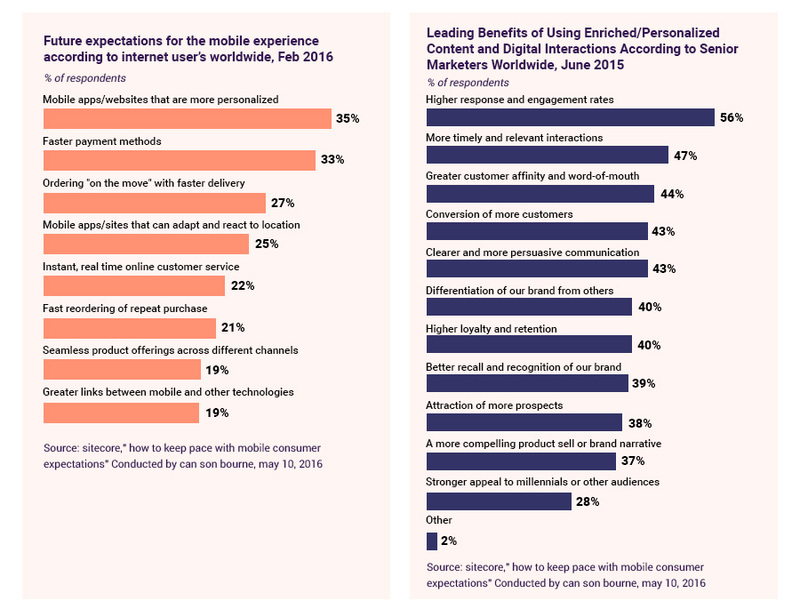 Even though many marketers are having their reservations regarding the mobile app personalization benefits, especially at the user’s privacy expense. However, if you do it right, you can really create app messages that will match your app users’ individual needs, interests and wants, offering the kind of app experience that they desire and ensure repeat usage. As we get into it, let’s first understand what exactly mobile app personalization is. What is Mobile App Personalization? Well, the mobile app personalization is the process to build a mobile app in order to meet the requirements of specific audiences. Just same as other forms of personalization, mobile app personalization is meant to present users with kind of experiences that are customized to their particular needs, instead of a broad, one-size-fits-all experience for all the users. Research says that there are more than 1.5 million apps on the play store. Now as users download the mobile apps, around 66% of them tend to delete the apps immediately post the first owing to the unfriendly features and the ones who don’t delete, just keep the apps in their mobiles for show and don’t use them. Thus, owing to tough competition, mobile app designers are required to tighten up their belts to make the apps user-friendly, by keeping user’s expectations and needs well in mind. This is why, mobile app developers and designers are trying to upgrade the apps so it attracts user-traffic and also to make them likeable to users, so they enjoy the app features. Well, smart mobile app personalization is all about a complete mashup of numerous technologies, starting from analytic, social media, mobile monitoring, sensors & more, so to capture and analyse user-behaviour while keeping a track of real-time on-goings starting from the app sessions, screen views, taps & clicks and also transactions done. 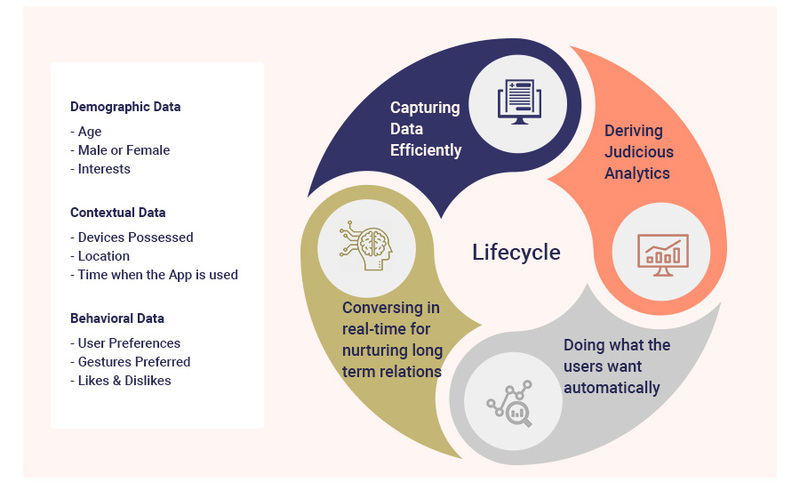 So, the analytic derived across the channels are helpful in designing personalized experiences with the use of push notifications, in-app messaging, one-on-one recommendations and various other forms of communication for a modern omni-channel model. Why Mobile App Personalization is significant? Raise awareness: Personalization is just the best way to raise app awareness and increase app usage. Once you know what kind of information your users like, it gets easier directly them towards right screen, thus it increase their awareness of news, teams, events and more & also boosts usage. Enhances engagement: Your app should work to inform users of elements which they might be interested in, however are missing out on currently. Thus, the key is to expose all your app features to the users as this way they can see the bigger picture, and find what they are looking for. However, that can’t be done by assuming that your app users are simply interested in everything offered by your app. Like, take Amazon shopping app for example. So, their user base consists of wide range of users, and with no personalization, you can’t pinpoint which product to share with whom. Retains users: So, if your app works on subscription basis, then it is important to retain users. Here, retaining doesn’t simply mean keeping the users engaged with your content, or integrating easy social-sharing, rather it is also about eliminating the obstacles in the renewal procedure. When campaigns are personalized on the basis of user’s reading patterns and subscription status, it will help you in pinpointing users who are more certain to drop off. Drives more purchases: How often it happens that users leave their cart mid-way without making a payment and this tend to be the #1 conversion problem seen in mCommerce apps. However, as a marketer, you just can’t be sending a push notification to all users encouraging them to checkout, after all not all of them will be having items in their cart. So, by using data on user-behavior in app, you can narrow-down segment of which users you should target and then use demographic data to determine what kind of product, content or offer interest them the most. What are the best approaches to gather App personalization data? Prior to creating a personalized experience for your users, you first need to collect data about them, in order to find about their specific requirements and wants. And once you have that data, it gets easier making informed decisions about the experiences you are keen to provide, and which segments of your users are to be given particular preferences. App On-boarding: It is basically demographic targeting during which you try to find out who your users so, in order to deliver personalized experience to them. Whether your users are male/female? What age-group they fall under? What things they like or dislike? Once you gather this kind of demographic data, it gets easier customizing the experience of your app to display most relevant content to each user. For instance, a food-delivery app can ask users about their current location, favorite cuisine and then display restaurants in that area every time the user logs into the mobile app. Contextual Targeting:This one is about finding information about what device is being used by your users, or user’s current geographic location, so to personalize the app experience. For instance, a local travel app can display cafesnearby the user’s current location which are still open. Behavioural Targeting:Here the user’s actual behaviour is used to personalize their mobile app experience. For instance, if a user looks more for Italian food in a restaurant app, then the app should adapt in real-time so to display more products they have interest in. With behavioural targeting being actually based on how users actually behave, so it is a powerful mean to personalize the app users’ experience. Know Your Audience and what they want: This absolutely does the trick. Well, in order to make app personalization a great experience for the users, it is vital to know your audience well and what they want. Once you understand your users, it gets easier to target them efficiently by serving them with actually what they need. Asking user name and then using the name as user on-boards. Provide users with free trials or special offers for first few days. By encouraging users to use the app during on-boarding. Must not ask extremely personal questions such as phone number unless really required. Push Notifications: It is yet another effective way of mobile app personalization. It consists of providing some kind of offers, related information regarding app that holds meaning to the user, such as Thanksgiving sale. Gamification:With the use of game mechanics and rewards, the engagement and loyalty of non-gaming apps can also be increased. It basically makes the app experience more engaging. For instance, there is an app named Viggle, which gamifies the experience of watching TV & listening to music by rewarding users with Perk Points which they can redeem for prizes and real-life experiences. Location-based (GPS):Using the GPS technology, the user’s current location can be tracked in order to send them useful offers using their real-time location. For instance, a user is in the shopping mall where you have an outlet, then you can send a notification to user about special offers upon visiting the app. iBeacon technology is used here to find current location of users. Use Social Integration: Using social media integration for the registration is the best way for app personalization and the users anyway dislike the long and complicated processes. Needless to say, social media marketing will greatly improve your mobile app personalization. Smart Recommendation: Here in this technique the app collects the information provided by user and using that information it recommends the forthcoming events. For instance, if user highlighted favorite movie category as Action on Netflix, then you can suggest new action movie releases. Mail Marketing: Well, personalized mail marketing can again do wonders, as at times app users find smart notifications and push notification a bit annoying while they use app. So, one can send recommendation via email. For instance, in case of e-commerce apps, you can send a mail regarding upcoming sale. Ask for reviews: What will work better than having it hear straight from the horse’s mouth. Simply asking users for reviews, as that way you will know exactly what they desire and require from your app, and this way you can serve them individually as per their requirements. Test & Improvise: In order to ensure that your personalization efforts are paying off well, you need to conduct a test and optimize your app via qualitative analytics. Touch heat maps prove useful here as they show the intent and preferences of users on an aggregate, visually informative level. It will show the most interacted parts of the app in brighter hues while the less interacted parts in colder hues. 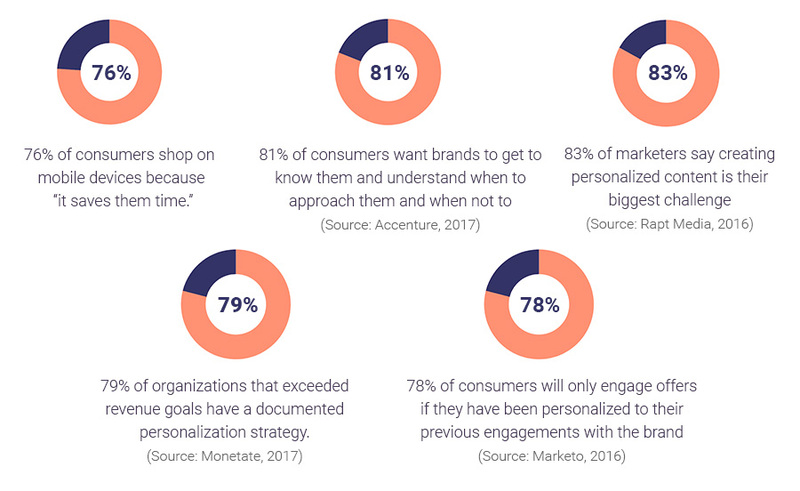 Thus, you can quickly make out whether your personalization-related efforts are resonating correctly with their audience. Hire Experienced UX UI Developers & App Promotion Team – In order to get your mobile app personalization strategy right you must hire experienced mobile app development company that can understand your audience and craft an app personalization strategy as per requirement to improve user engagement for long time. Here we have presented some of the best apps with personalization experience so to help in building great apps in future. 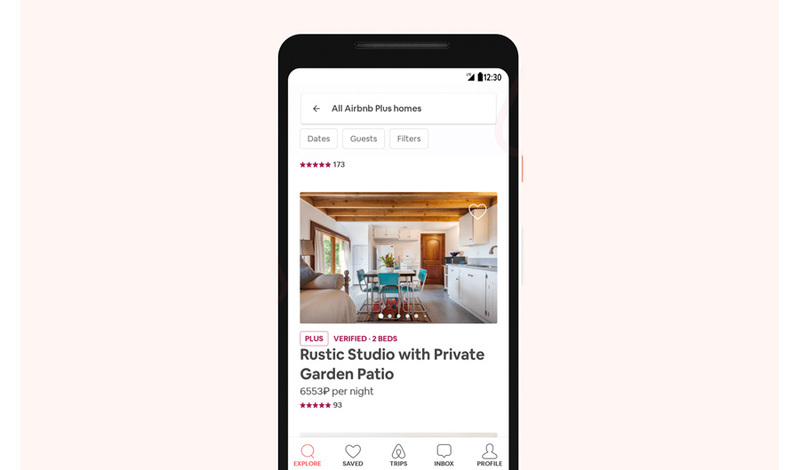 AirBnB: Well, what this app does it that it tracks the travelling preferences, along with past and forthcoming trips of the users in order to suggest the most relevant accommodation idea to them. Besides, it also displays individual recommendations to select entertainment junctions, cafes, places to see, etc. So in case your list of favorite consists of watching movies, then Airbnb is going to suggest a cinema or a theatre, instead of a music concert. 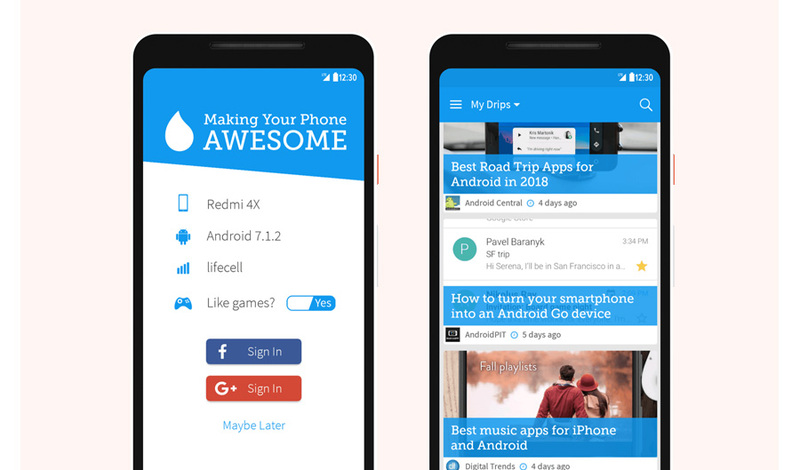 Drippler: This app offer tips regarding the user’s smartphone. Like it will examine your gadget’s features so to form a list of articles related to updates for your smartphone and for each application that you have installed. Then, it will explore the articles browsed and ones that you ignored. Later on, Drippler will use this data, so to adjust upcoming hints on the basis of those preferences. It’s quite a prominent app, as most of the apps out there do not have tools to easily track version changes. 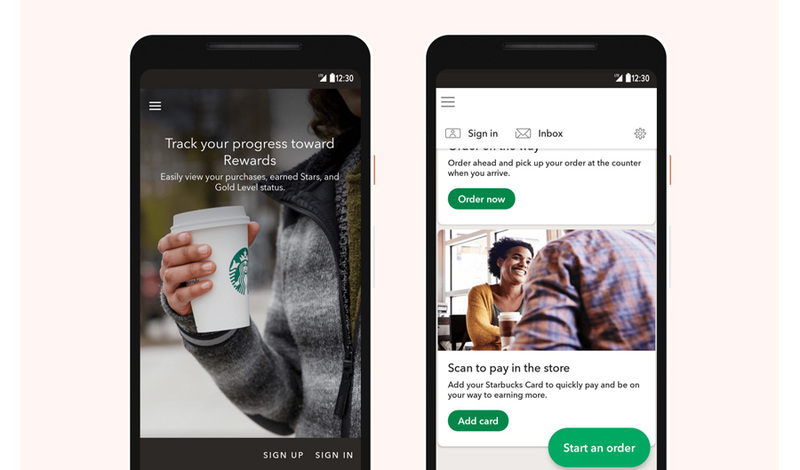 Starbucks: What Starbucks’ app does is that it investigates the customers’ tastes in order to propose special promotions. So, this way, a customer preferring cappuccino will be receiving recommendations for the similar products, as s/he is near to the outlet. 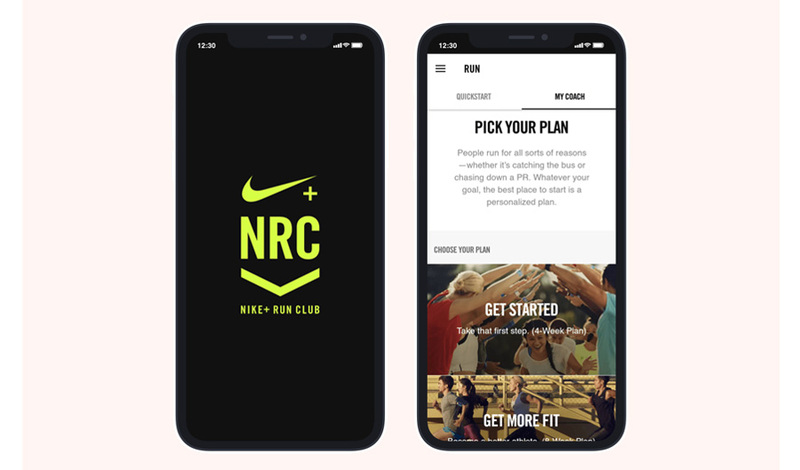 Nike+ Run Club: This personalized fitness app allows to choose a personal workout plan that adjusts regularly to the person’s training speed. This approach to physical training proves imperative as the athletic abilities of each person is different, and so the amount of time that people can spend on a workout. The time has come when more and more app professionals have begun recognizing the significance of a personalized mobile experience. In fact, many of them are already transforming their mobile apps in order to keep pace. So, we expect that in coming times more app businesses will be able to take advantage of mobile app personalization. How Coordinated Care Systems Helping Healthcare Eco System?